I purchased a domain from godaddy but when I try to use it on my website through you guys, it says technical error. Its been saying that for hours now. What's going on? I, too, am trying to use the custom domain setting and it keeps giving the same "Technical Error" page. Still no update? Must be because of the holidays. Fair enough. may I have your domain name and the domain service provider? So that we could test it out on your websites as well. 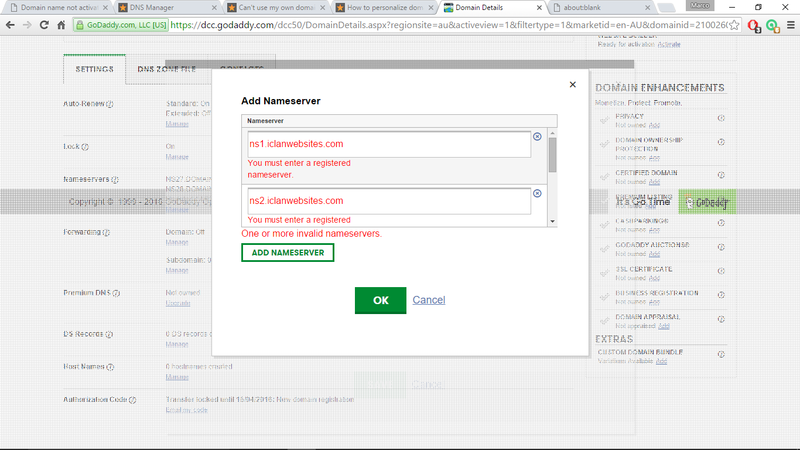 i try to change the name servers on godaddy but it keeps saying "please use a registered nameserver"